Dump everything into a blender of food processor and process until smooth. Taste and adjust seasonings as needed. One variation of this recipe calls for equal amounts salt and sugar (up to 1/2 teaspoon each), this may be useful if you use fresh tomatoes and find them a little acidic. 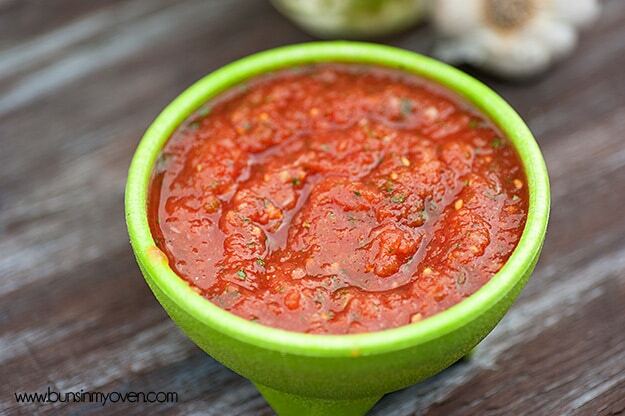 The salsa will get spicier as the peppers sit, so keeping it a bit more mild than you’d normally like is a good idea! Refrigerate for at least one hour before serving.